MRI is a non invasive imaging technique involving a powerful static magnetic field and a rotating magnetic field. Molecules aligned by the static magnetic field become disrupted by the rotating magnetic field and take varying amounts of time to realign. These time differences allow for differentiation between tissue types that can then be reconstructed as a 3D image. Functional MRI (fMRI) builds on this technology. fMRI differentiates between oxygenated and deoxygenated blood in order to infer which areas of the brain have recently been active. If tasks are performed within a scanner, a researcher can attempt to observe brain activity associated with each task. Unlike EEG, fMRI has a high spatial resolution and allows for the study of deep brain structures, but limited temporal resolution. fMRI scans take place at the Seaman Family Centre located within the Foothills Medical Centre in Calgary, Alberta. This centre has a research-dedicated 3-Tesla General Electric Discovery MR-750 scanner. 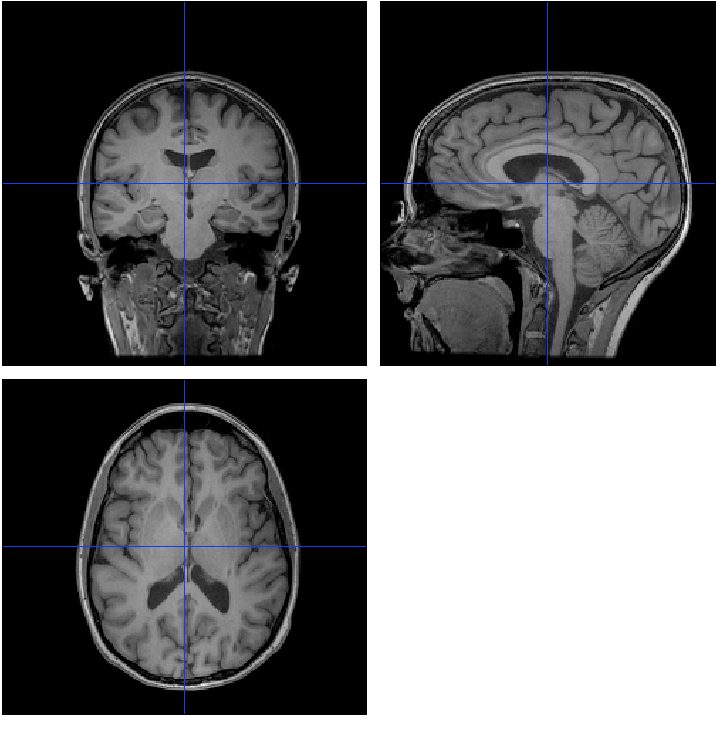 The fMRI involves spending a period of time in a constrained space. Therefore, those who experience claustrophobia are cautioned. MRI is completely safe. The magnetic fields involved cannot be felt and do not cause harm on their own. However, it is important to not bring metal into the MRI chamber, and we use a metal screening questionnaire prior to participation to ensure that you have no metal in or on your body. MRI screening also requires that you disclose some medical information to us. All information that we obtain form you is confidential, and is saved under a participant number rather than with your name. If you wear glasses or contact lenses, you will be asked to provide a copy of your prescription so that we can replace your eyewear with plastic lenses on participation day. Upon arrival to the Foothills Medical Centre, a researcher will meet you in the main entrance to guide you to the research centre. The researcher will provide you with information about the specific study that you will participate in, and will ask for written consent. The MRI technician will complete a medical screening with you to ensure that it is safe for you to go in the scanner. You will then be asked to remove all metal from your body including jewellery, and to change into clean scrubs. A locker is provided for your personal items. When ready, you will be lead into the MRI room and a technician will get you situated within the scanner. It is important to remain as still as possible during the study. We make very attempt to make you comfortable in the scanner. We will place pillows around your head to help prevent you from moving unintentionally. We also provide earplugs because the scanner makes a considerable amount of noise. If you require corrective lenses for participation, we will provide plastic ones with your prescription. Once situated and comfortable, the technician will familiarize you with the operation of the scanner and the study will commence. You will be given a button to press in case you need to stop scanning for any reason. When all tasks have been completed, the technician will reenter the room and help you out of the scanner. The researcher will guide you back to the lockers where you can change. Thank you for your participation!